When traveling to Peru you are probably thinking of Lima and its wonderful food, maybe the mysterious Nazca Lines, the grand Colca Canyon or Cusco and Machu Picchu or even Lake Titicaca and the Uros people, but not really on most people’s minds is chocolate. But did you know that the cacao bean has been grown in South America for many centuries and the ancient civilizations consumed hot chocolate on cold winters evenings. Peruvian Chocolate Cusco treats should be top on your list to try in Cusco. 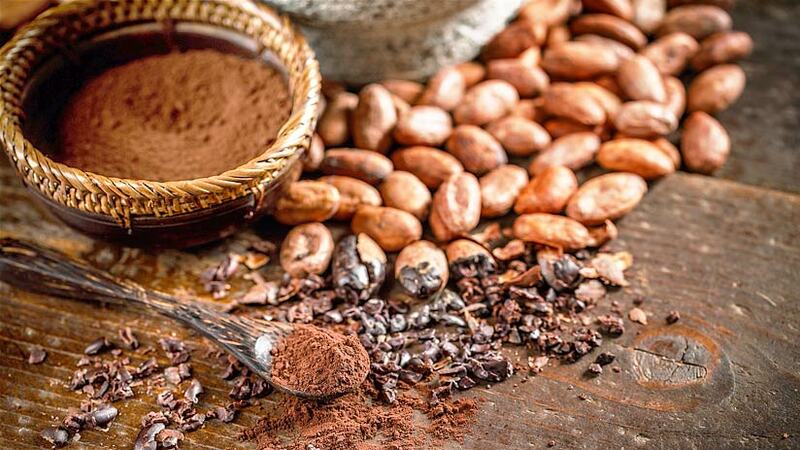 If you are a chocoholic than you will be delighted to know that the city of Cusco holds a few secrets that not everyone knows about. Although you will be excited to see, Machu Picchu and all the other Inca ruins and sites you will also be excited the experience the chocolate when you travel to Cusco. 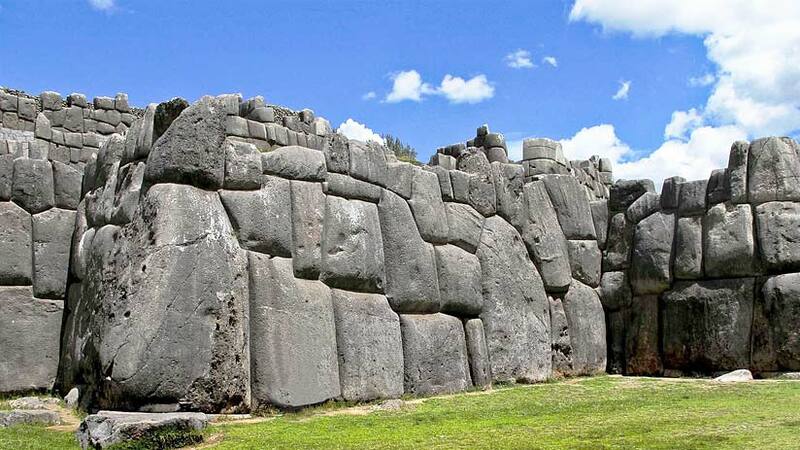 Here we will feature two places that should not be missed and that we recommend for you on your trip to Cusco. The first is the Choco Museo, located in the Plaza Regocijo this place should be chocolate lover’s first stop in Cusco. 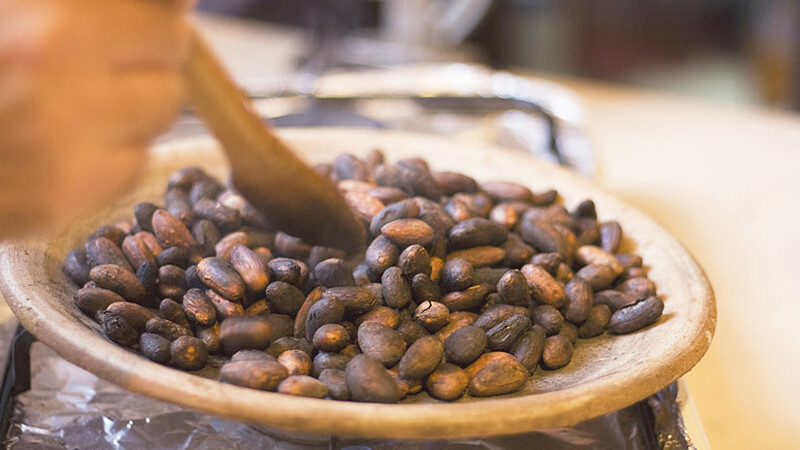 At Choco Museo, you learn about the beans and the process of grinding the beans into a tasty paste and even you can make a bar to take home for later. 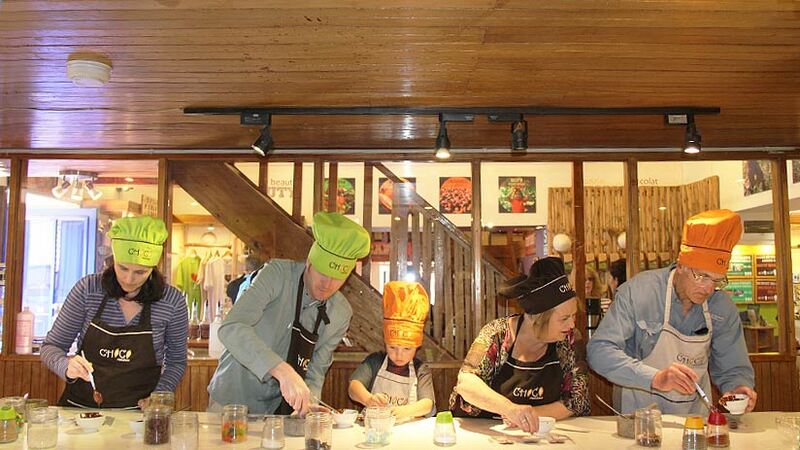 At Choco Museo, you can take chocolate sculpting, cupcake making and truffle filling classes to name a few. The Museo has a café, thank god, that offers a menu full of brownies, buns and fondues that can be eaten with Mayan style hot chocolate or Peruvian coffee. This locally grown chocolate as they say at the Choco Museo the chocolate comes with twice the flavor and half the guilt. 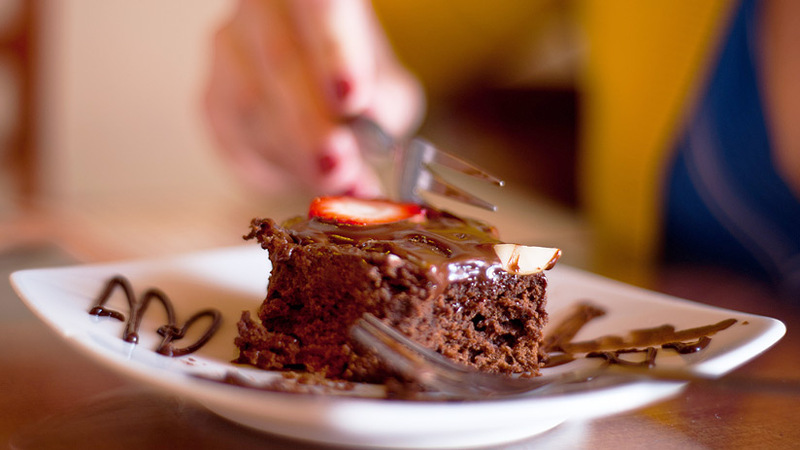 The second place you should not miss is quite simply Chocolate, this restaurant features you guessed it chocolate and is located in Choquechaca street in the San Blas part of Cusco. This part of Cusco is full of cafes and restaurants but what you must not miss is Chocolate. Opened for over ten years when you enter you will be delighted by the range of chocolate that resemble pieces of art. Made from cocoa beans that are grown in the jungle, the chocolate is said to have a special flavor found nowhere else. The restaurant has gained popularity and was featured on a TV documentary by Astrid Gutsche, the wife of famous Peruvian chef Gaston Acuario. The restaurant also features at Mistura, which is Lima annual food festival. Taste the tasty morsels, the owner recommends the hot chocolate, the truffles and the Sauco Tart you will not be disappointed with your visit to Chocolate. Cusco Peru tourism is on the rise, with the number of tourists that visit the city every year. 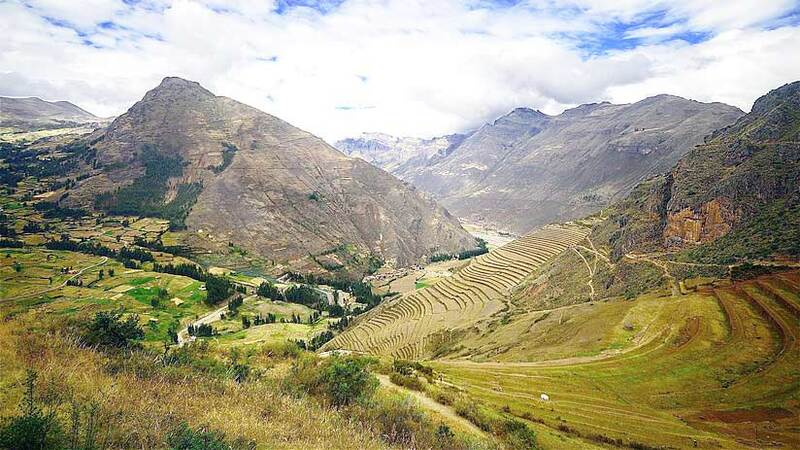 There is much to see in the area with many ancient Inca sites to explore like Machu Picchu and Ollantaytambo. Not only are there ancient civilizations to know, the natural beauty of the Cusco area is among the most beautiful in South America. The Cusco area is set in a valley in the Andes Mountain range and you will see some of the most spectacular mountains on the planet. While in Cusco, take a Cusco city tour this will give a great insight into the Inca and the Spanish and an overall history of the city and also see the beautiful Spanish Colonial churches complete with art and ornate gold alters. Visit the top of the city and see the Inca sites of Sacsawuayham and Tambo Machay, the tour will last around four hours and is worth the money. The history of this ancient city will leave you wanting more. To ensure that you tour Peru right way do some research on what it is that you are interested in discovering. The Cusco area needs to be explored and you need at least a week to see the city and surrounds. From Cusco explore the Inca Citadel of Machu Picchu, take the train from Cusco through the Sacred Valley and enjoy the magnificent scenery before arriving into Aguas Calientes, which is the town below Machu Picchu. In the past few years, Peru has experience an explosion onto the International food market with Lima winning International food destination at the World Travel Awards. The quality of the food in both Lima and Cusco will surprise you indeed. If you are traveling to Peru, take a few days and discover some of Lima´s fine restaurants, with three in the world´s top fifty Lima should be on your list of places to visit. Choco Museo also has a café in Lima so look for it on your trip to Lima. 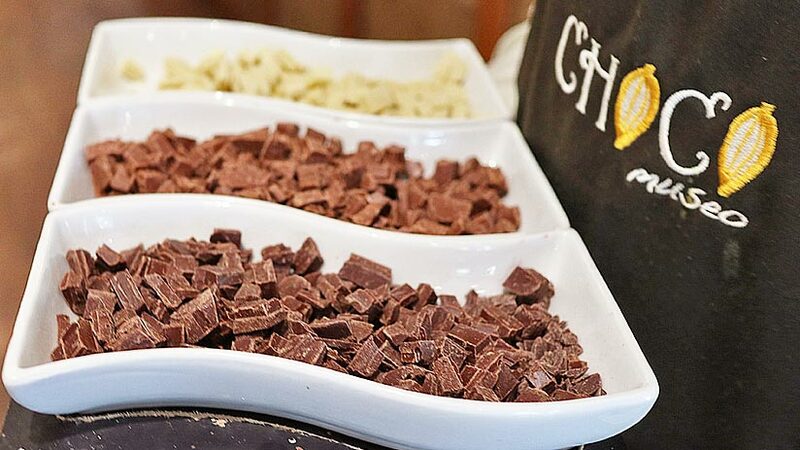 Chocoholics prepare to enjoy some of the world´s best chocolate and try the suggested places in Cusco, book your Peruvian adventure today and enjoy some new taste sensations that will leave you begging for more. What are you waiting for? Peruvian Food cusco, gastronomy. permalink.